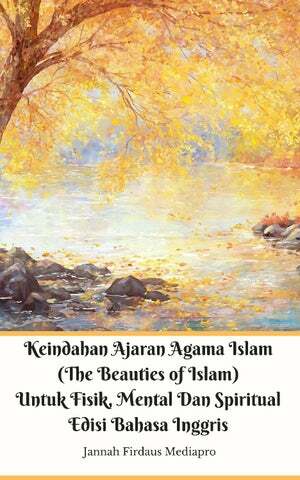 Pendahuluan Keindahan Ajaran Agama Islam (The Beauties of Islam) Untuk Fisik, Mental Dan Spiritual Dalam Bahasa Inggris Bersumberkan Dari Kitab Suci AlQuran Dan Al-Hadist. 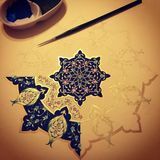 At this time in Islamâ&#x20AC;&#x2122;s history, when the entire religion is being judged by the actions of a few, it is appropriate to step back from the glare of the media spotlight and examine the beauties that infuse the way of life known as Islam. There is greatness and splendour in Islam that is often overshadowed by actions that have no place in Islam or by people who speak about topics they only vaguely understand. Islam is a religion, a way of life that inspires Muslims to try harder, reach farther and act in a manner that is pleasing to those around them and most importantly pleasing to their Creator. truth. Knowing that the answers are coming from a book which is the unchanged Word of God, gives comfort and solace. When God revealed the Quran, He promised to preserve it. The words we read today are the same as those memorised and written down by the companions of Prophet Muhammad. “It is We Who have sent down the remembrance (i.e. the Quran) and surely, We will guard it from corruption.” (Quran 15:9) 2. True Happiness can be found in Islam Rejoice and be happy, remain positive and be at peace. This is what Islam teaches us, for all God’s commandments aim to bring happiness to the individual. The key to happiness is in understanding and worshipping God. This worship serves as a reminder of Him and keeps us always conscious of Him and hence we stay away from evil, committing injustices and oppression. It elevates us to being righteous and of good character. By following His commands, we lead a life that guides us to the best in all our affairs. When we lead such a meaningful life, then and only then are we able to see happiness all around us, at any given moment and even on the darkest of times. It is even there in the touch of a hand, in the smell of rain or newly mown grass, it is in a warm fire on a cold night or a cool breeze on a hot day. Simple pleasures can make our hearts truly happy because they are manifestations of God’s Mercy and Love. Messengers and Prophets to each and every nation. Some we know from the Quran and the traditions of Prophet Muhammad, others are known only to God. “And for every community or nation there is a Messenger; when their Messenger comes, the matter will be judged between them with justice, and they will not be wronged.” (Quran 10:47) God does not hold any person responsible until he has been clearly shown the right way. “...And We never punish until We have sent a Messenger.” (Quran 17:15) At the same time we are responsible to search for the truth and upon finding it we should accept it and reform our lives accordingly. The past bad actions can be left behind. There is no sin that cannot be forgiven! “Say, 'O My servants who have transgressed against themselves [by sinning], do not despair of the mercy of God. Indeed, God forgives all sins. Indeed, it is He who is the Forgiving, the Merciful. '” (Quran 39:53) A person should take advantage of God’s mercy by sincerely repenting for the past or if one is not a believer, by converting to the religion of Islam. Every person must work towards his salvation by combining faith, belief and action. hearts with sincere devotion, love, repentance and trust in Him, to beautify their faculties with obedience, and to beautify their bodies by showing His blessings upon them in their clothing and by keeping them pure and free of any filth, dirt or impurity, by removing the hairs which should be removed, by circumcision, and by clipping the nails. Thus they recognize God through these qualities of beauty and seek to draw close to Him through beautiful words, deeds and attitudes. They acknowledge Him for the beauty which is His attribute and they worship Him through the beauty which He has prescribed and His religion.â&#x20AC;?